I was able to attend Opening Night and 2 blocks of screenings on Sunday. The below embeds are mini movie reviews & photos from opening night. Below that, video of FirstGlance's Awards Ceremony - Congrats to all the winning filmmakers! Below that, the festival continues online with IT'SASHORT over 40 short films are available to watch for FREE for 4 week (Oct 9 - Nov 11, 2017) vote for your favorites, which then have a chance of premiering at FirstGlance Los Angeles in Spring 2018. ORIGINAL POST It's almost time for The 26th Annual Philadelphia Film Festival (Oct 19-29th) but this year, for the first time, I'm gonna also cover a bit of The 20th FIRSTGLANCE Film Festival (Oct 6-8, 2017). 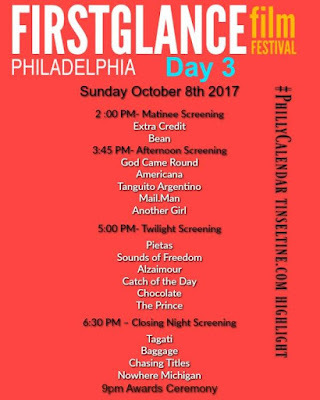 FirstGlance is a bi-coastal film festival which takes place in LA and Philly. It's been named 5 times as one of the “Best Film Festival Investments” and “50 Film Festivals Worth the Entry Fee” by Movie Maker Magazine Celebrating 20 years - the weekend event includes red carpet happy hour with press and filmmaker interviews, opening night screening presented by Sharon Pinkenson, Executive Director of the Greater Philadelphia Film Office (click for T&T pics from #GPFONext party). Unique screening programs, indie film expo, networking with filmmakers, after parties with cast and crew, beer and wine bar, filmmaker brunch, and for the first time, a live awards ceremony. In addition to what is screening at the festival, over 40 short films will take part in a 4 week Short Online Contest with over $2500 in prizes beginning October 9th with an opportunity to premiere at FirstGlance Los Angeles in Spring 2018. 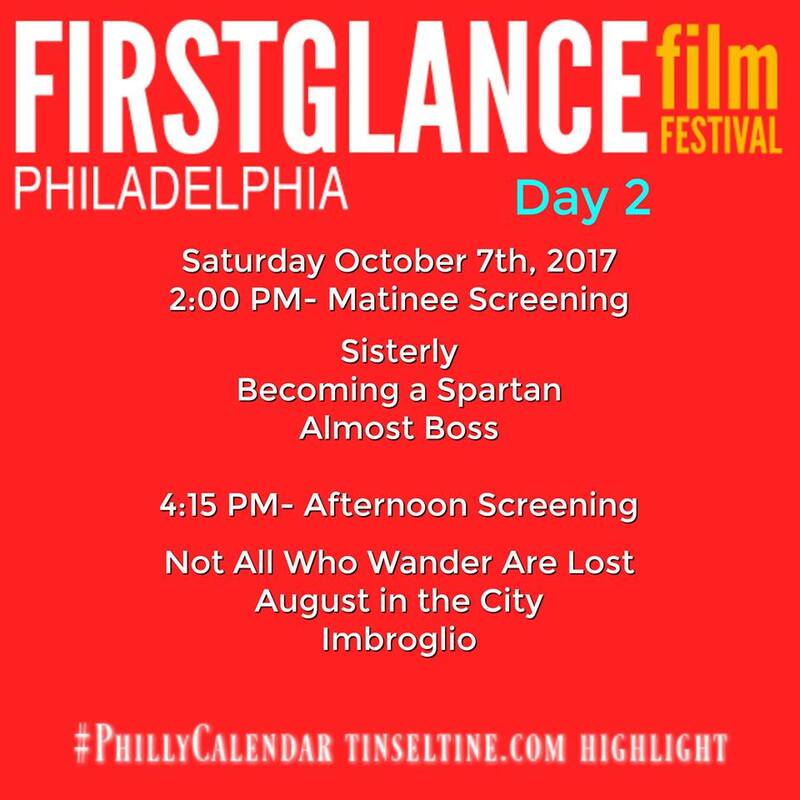 About FirstGlance Films:FirstGlance Films began in 1996 as an indie film festival in the basement of a small theater in Center City Philadelphia. 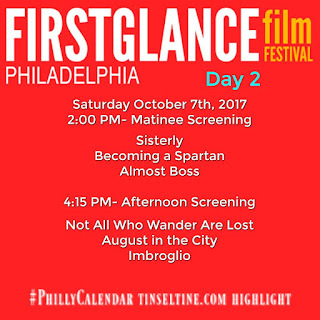 FirstGlance Films has currently produced over 37 festivals in Philadelphia and Hollywood. In addition to producing their award winning bi-coastal film festivals, FirstGlance has year round activities that include On-line Short Film Competitions, Short Film Productions, and streaming and VOD Distribution. For more information, please visit www.firstglancefilms.com.